Both these amazing electro acts are heading to Australia later this year to be part of the incredible line-up for Splendour In The Grass. 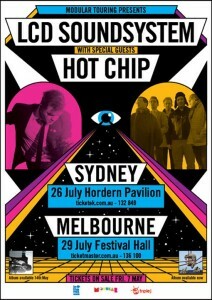 But now LCD Soundsystem and Hot Chip have announced collaborative Sydney and Melbourne sideshows for those not able to make it to wonderful Woodford in late July. 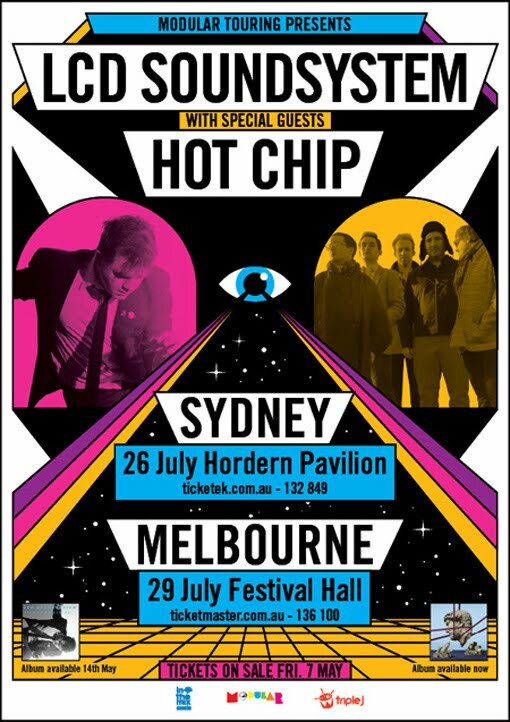 So as the flyer (pictured) suggests, LCD Soundsystem and Hot Chip will perform live for Sydneysiders on July 26 at Hordern Pavillion, and for Melburnians on July 29 at Festival Hall. Tickets are on sale on Friday May 07.